One of the most popular tourist destinations in Japan – Hokkaido . It is the northernmost of the Japanese islands, which until the 18th century was practically not developed. In our days of Hokkaido it has become the perfect holiday destination – it’s clean lakes and rivers, seascapes coexist with wild vegetation, the sky and the bottomless blue and azure water. The Japanese themselves believe Hokkaido paradise. 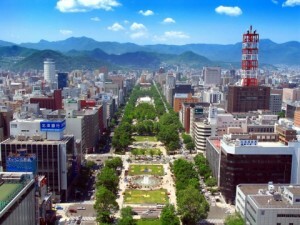 Administrative as well as economic and transport center of Hokkaido is the city of Sapporo , where the airport – the air gateway to Hokkaido. 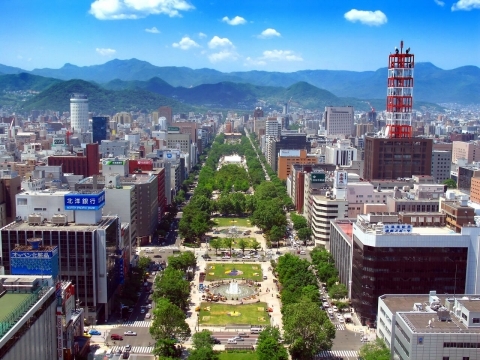 To get to Sapporo from Tokyo by plane or Osaka.Sapporo extraordinarily beautiful – he is buried in different colors and clear streets geometry here is simply impossible to get lost. 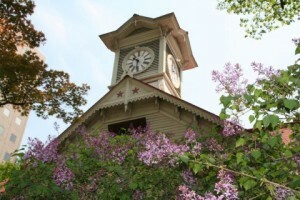 The main street of the city is also the park, which affects the abundance of flowers. Odori Park gained worldwide fame thanks to the festival of snow and ice figures, which is held annually in Sapporo. Sapporo has a museum with a rich exposition, reflecting the history of the founding and development of the city. The building is adjacent to thehigh clock tower , which is the main attraction of the city. Hokkaido is surrounded by smaller islands, which are not only very beautiful, but also offer visitors a variety of entertainment – from diving to boat trips. The islands are surrounded by coral reefs and crystal clear sea water. 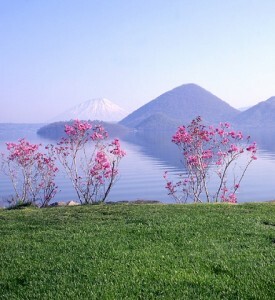 Hokkaido is famous for its lakes. Lake Sikotsu is an hour’s drive from Sapporo, it is surrounded by high cliffs, which are reflected in the clear water, which, incidentally, never freezes. Other Lake – Toya, has a nearly perfect round shape, and in the middle of the lake there are four small islands with dense tall trees. Apart from Sapporo, Hokkaido, there are other interesting cities such as Hakodate. It is a port city, and get it can be a very unusual way – by train through an underwater tunnel. 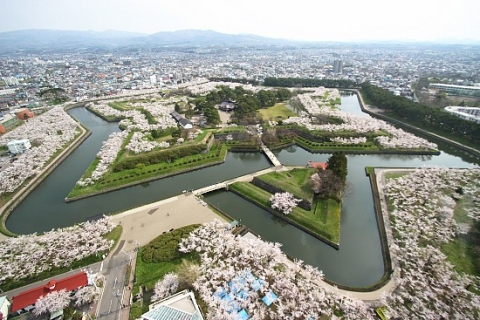 Hakodate is famous for this fortress built in the shape of a star, and serves to protect against attacks. The city is located at the foot of the mountain of the same name, which is also a landmark of Hokkaido. In Hakodate, every morning the market opens, sells fresh fish and seafood, and you can buy vegetables grown on the cultivated fields surrounding the city. In the city there is always a revival and bustle. Extensive field overgrown with lavender, can be seen in the vicinity of another city – Furano . 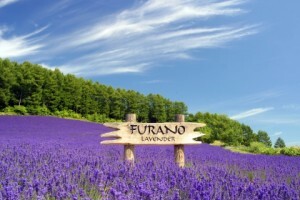 In addition to lavender, daffodils are grown and the crop. Only an hour drive from Sapporo – and you can inhale the fragrant herbs and flowers air and wander through the spacious fields. In the eastern part of Hokkaido is the city of Kushiro , featuring pristine purity of nature and amazing landscapes. There are many lakes whose waters are crystal clear and clean. In the vicinity of Kushiro has a large reserve, located on the marshland, you can see a variety of flora and fauna. Tours often include Hokkaido Kushiro on the descent – the river flowing through the reserve. This is a real gift for fans of outdoor activities. In Kushiro, you can not just wander around the reserved forests and rafting on the rivers, and offers horse riding and even flying over the reserve in a balloon.